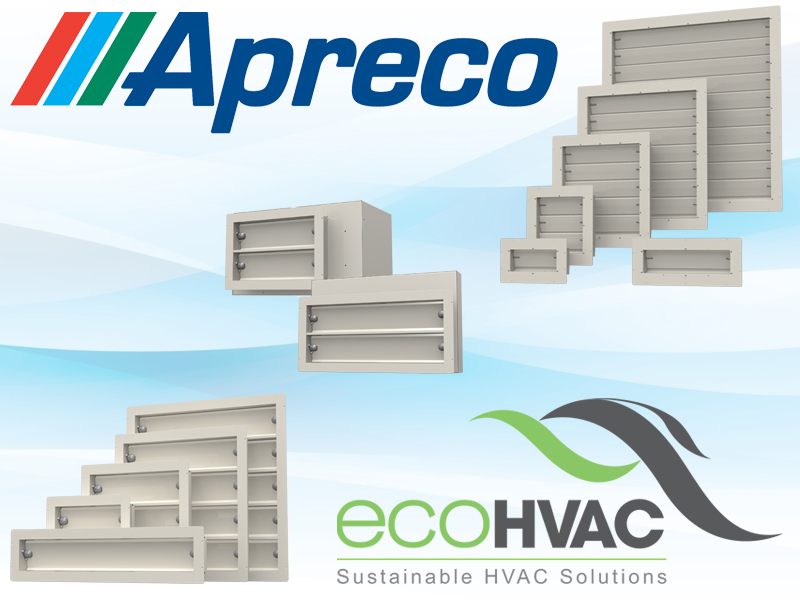 ecoHVAC is proud to announce it is now the exclusive distributor for the Apreco product range in Australia and New Zealand. Apreco, who are Air Movement Specialists, have been manufacturing a wide-range of quality products in the UK for Healthcare, Cleanrooms and Fire Suppression since 1997. Their product range includes Air Pressure Stabilisers and Pressure Relief Vents to protect & safeguard individuals and companies. For more information, please visit our Apreco Product Range page or Contact Us.